Nothing beats soaking in a nice warm bath at the end of a hectic, stressful day. And nothing beats the legendary power of lavender essential oil when you want to soothe, unwind and restore your mind and body. 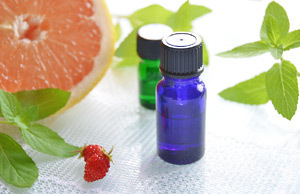 It is these properties, plus the appeal of its refreshing aroma that makes it the most popular essential oil used in aromatherapy today. So to bring you a truly luxurious and heavenly bath-time experience, Quinessence Lavender Bath Soak contains the very finest high altitude organic Lavender essential oil from Provence, infused with soothing and conditioning botanicals to nourish and pamper your skin. This unique combination of natural active ingredients helps provide a truly holistic relaxing experience to melt away the tensions of the day and induce a state of blissful calmness. To nourish and hydrate your skin we have included Pomegranate extract which is also an effective anti-oxidant with an ability to fight the signs of aging. Other skin-loving botanicals include Sea Lavender which is calming and soothing to the skin, whilst nutrient-rich Irish Moss and Seaweed are detoxifying, re-mineralising, emollient and restructuring. This synergistic combination of natural botanicals ensures that your skin will feel soft, caressed and pampered when you step out of the bath and back into the real world! Whether you have had a hectic day at work and want to wind down, or simply want to prepare for a good night’s sleep, the soothing aroma of pure Provence lavender is sure to bring you peace and serenity. Quinessence Lavender Bath Soak is the perfect bath-time product for toddlers and children, since the calming aroma is highly effective as part of a calming bedtime routine, making it easier to get them to bed. 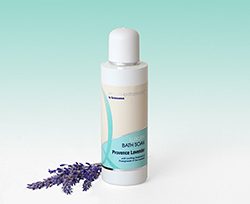 As always with Quinessence products, our Lavender Bath Soak does not contain sodium laureth sulfate (SLES), sodium lauryl sulfate (SLS), parabens, propylene glycol, mineral oils, or animal derived ingredients – making it perfect for sensitive skins of all types. Research proves that lavender essential oil slows the activity of the nervous system, promotes relaxation and improves the quality of sleep. This is what makes it the perfect bath product to help you unwind and chill out at the end of the day.